Oregon students from twenty schools (elementary through community college) competed in Lincoln City on April 29 in the Oregon Regional MATE ROV competition, coordinated by Oregon Sea Grant. MATE is an underwater robotics contest that tests engineering and problem-solving skills and aims to prepare students for technical careers. The event is one of about 30 regional contests around the world that are coordinated by the California-based Marine Advanced Technology Center (MATE). 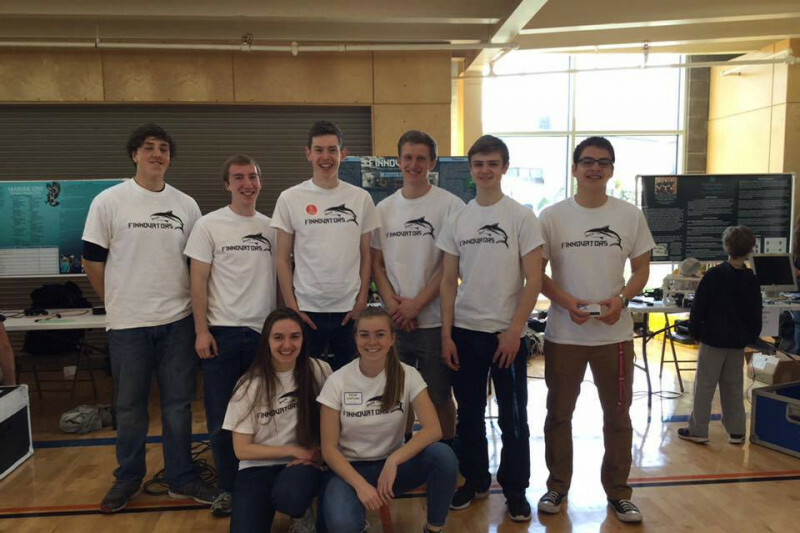 Top teams from Oregon qualify to compete in the International MATE ROV Competition, which will be held June 23-25 in Long Beach, Calif. For the second year in a row, Newport High School Finnovators won the title and will advance on to International. The NHS club is entirely volunteer, with students doing all the fundraising, design, and build with the help of volunteer mentors. These kids work hard - together, they have logged in over 800 hours of their extra-curricular time, giving back to the community during workshops and school events, as well. They sincerely appreciate your support! Our score sheets came in - we scored 14th overall, 3rd in Inspiration and Outreach, and 4th in Product Presentation - out of 40 teams. Very proud of this group, as the competition was FIERCE - we were up against colleges, enormous and well-funded teams.... Our team's success is a testament to their creative ingenuity, hardworking perseverance, technical expertise, inspired communication and YOUR support! Thank you, again, from the NHS Finnovators and their mentors!!! Veni, vedi, veci! Our Finnovators did very well at the International Competition. We don't have the final score sheets yet, but believe we scored in the top 10, which was amazing as there were some high-performing ROV's there! It truly was an honor to compete, and we couldn't have done it without your support. Thank you, again! Finnovators and mentors . 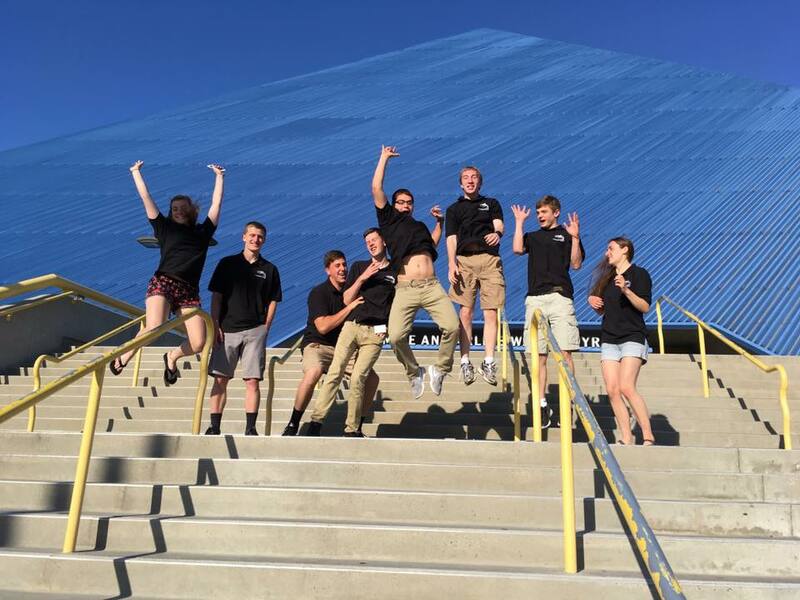 PS - the photo was taken outside the Walter "Big Blue" Pyramid at Cal State/Long Beach, shortly before our awards ceremony on Sunday night. Wow - Big THANK you to all our supporters, we have reached another milestone!!! The team is getting super excited about our trip this week, making some last-minute improvements and working on their marketing display. The live-streaming link for the competition should be listed at https://www.marinetech.org/live-videostream/ We will keep you updated - thank you again for your support!!! we are getting much closer to our goal - and we leave in a week!! so thankful for everyone's support, it's been amazing! Hurrah! I am shedding a few tears. This team is inspiring ..mentors too. I've had so much fun following this endeavor that I'm sorry it is ended.